When we were younger, we listened in rapt silence to various fairy tales and superhero stories, dreamed about them and wished they would come true. Now as adults, life is not that simple and we finally faced reality. But that did not stop us from having dreams. As we grew up, our dreams just changed to something else. We dreamed of the places we would like to travel to, and planned our itinerary, one day seeing it all come true – the things we deeply desired in real life. Some dream of the perfect home, for example. And that dream includes the best kitchen. 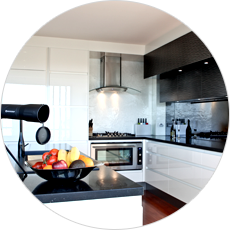 Many home owners have thought about what they wanted in a dream kitchen and wished it would one day come to fruition. But they are unsure of how the result would measure up so they hesitate and pushes the thought aside. Sometimes, even putting it on paper and colouring in the details may provide some insight as to the final result. Today, even that is unnecessary in planning a kitchen design. Now, computer graphics are so advanced that there are software available to show you how your creation will look before you go ahead and order. 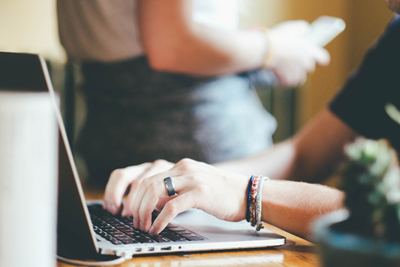 Virtual homes, gardens and kitchens software can take away the uncertainty, by putting in your plan in detail and adding colours and special touches. What you see on screen is virtually what you will see when your kitchen is installed. Colour swatches can be helpful in making colour choices in your virtual kitchen and you can change anything you don’t like. “I hate this kitchen! It’s short of storage and bench space, and I can never find anything.” Is this you? If so, you are not alone. These words are often spoken in homes fitted with outdated kitchens. There is nothing more frustrating than having to do something by a certain time frame, and not being able to achieve the task you want done. In kitchens where there is a specific place for everything because adequate storage has made it possible, and bench space is plentiful, cooking is enjoyable. This is especially so if the items are easily accessible. We all have our own ideas of our dream kitchen and space is one of the most commonly asked priority. Accessibility is also high on the list, and of course plenty of bench space to work on our culinary creations. Colour choices are easy to match in with existing decor. 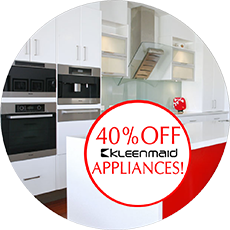 The beauty of kitchen manufacturers today is that they are happy to create your idea of a dream kitchen for you. This will all be made to measure as well. Storage for cutlery, crockery and glassware can mostly be anywhere you choose even in pull out shelving systems. For example, a tandem pull out pantry has swing out shelving making it a desirable item in the kitchen. The pantry is one area where things get pushed to the back of the shelf, not to be found unless shifting other items. Deep shelves hold a lot, but as for accessibility they are sadly lacking. New features added to kitchens can solve this easily. With pull out pantry shelves items can be easily viewed from both sides. They are spacious enough to hold larger items easily and store quite a lot. Easy to slide in and out that they make storage a breeze. They fit in beautifully as part of a kitchen design. A corner pantry makes use of a previously frustrating space by allowing us personal access by stepping or walking into the pantry. The choice is yours. Without the deep shelving of usual corner cupboards, all items are easily seen. If space is no problem when designing your kitchen why not have a double door pantry installed. This is spacious and also allows you to step into the pantry which has cut out shelves allowing you to see all items easily. Your kitchen is without a doubt one of the most important rooms in your home. Aside from the obvious functional quality, it has the ability to add warmth and style with its design too. This is what makes getting the kitchen design right so important. Many hours are spent in the kitchen preparing and even enjoying meals. Often called the heart of the home, it is certainly something you will want to be as close to perfect as possible. Creating the perfect kitchen is not as difficult as you would think if you have a good plan in mind and get the best advice available. One of the most important factors in a kitchen, if you have the space to allow, is that it is open with good air flow and a lot of light. If your kitchen is a little tight for space then there are tricks you can use to make the area appear larger. There are also some great storage solution ideas for smaller kitchens which will offer you maximum use of the space you have. Lighting is very important in a kitchen. If you are without natural light then some well placed lighting can give you the right amount of light without being over done. You can also consider some ambient lighting in some areas to give a warm golden glow in the evenings once the cooking part of the day is done. The way in which your kitchen is set out is incredibly crucial to your kitchen being completely functional and enjoyable to use. A little thing called the kitchen work triangle is what most people should work on. This simply means that your cooktop, kitchen sink and the fridge are placed in such a manner that if you were to draw lines to join them, you would have a triangle. This idea comes from the fact that when you cook you are usually alternating between the three areas, and of course your benchtop. 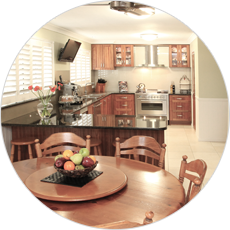 Benchtops are the face of the kitchen and choosing one can be exciting, and daunting. There are so many different materials to choose from and each suit a different kind of budget. The ideal way to make the most informed choice is to talk to your kitchen design professional about what suits your needs and budget best. There is a lot more to consider on your way to a perfect kitchen and once your new kitchen has been installed you will be grateful for the careful consideration you took on each step. Your cooking will soon be less of a task and will feel much more like you are doing it in style. When choosing your style you will need to take into consideration the them of the rest of your home. Naturally, you will want to keep within the theme so the kitchen doesn’t look out of place. 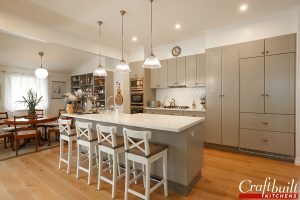 A time though when this may not be necessary is if the rest of the home is also going to be renovated; in this case, you can let the kitchen lead the way in the choice of style. Once you have decided if you want to go traditional or modern with your kitchen you will also need to decide which layout you would like to go with. This decision is also dependant on the room you have for your kitchen. The more common types of layouts are Gallery Style, C shaped, L Shaped and U Shaped. U Shapes offer the most cabinet space but are also the most compact. There is much to think about when choosing your new kitchen. 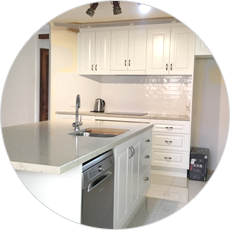 The style of kitchen, the appliances, the colour scheme and the type of benchtop are just a few of the decisions to make; there is also the layout, the cabinetry and the finishes to consider. For someone who is not experienced in this area, achieving the kitchen you want can become more of a daunting idea than a fun one. There is a great way to avoid all the stress of designing your new kitchen and enjoy more of the fun, and that is to enlist the services of a professional kitchen design company such as Craftbuilt Kitchens. 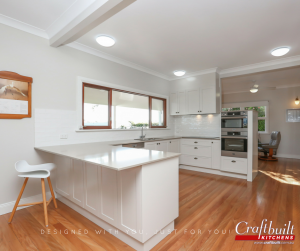 Thanks to their many years of competent experience in the industry, the team at Craftbuilt Kitchens will expertly design and install the perfect kitchen after listening to your preferences and needs. From modern kitchens to traditional styles, their highly qualified designers will discuss with you the different options and you can view fantastic displays in the showroom to give you some ideas. You can also view your design in 3D so that you can see what it will look like before it is installed. This will make it easy to check if you really like the layout and design and it gives you the opportunity to make any changes. 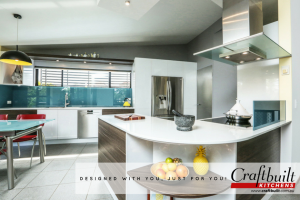 If you want to have a new kitchen installed, have an idea of what you would like but are uncertain of how it will look in reality, do yourself a favour and visit Craftbuilt Kitchens. Set an appointment with our kitchen designers so you can see for yourself what your dream kitchen looks like virtually. You will be amazed at how simple it is, and will be sure of how the end result will look in your home.